How to make video resume and upload to your personal website, Blog, YouTube, Myspace etc. Well it has been a while from the graduation day of your university. Have you had found a job which you want? Or you are still busy in sending your resume? Yeah under such rough time and because of the economic crisis, it is getting harder and harder to find a good job. What we can do? Well I think except to improve our ability, an ingenuity video resume also can make you stand out from the other job seekers. This article will tell you how to make a video resume and upload it on your personal website, Blog or YouTube etc. 1. If you have a DV, you can use it to record the self introduction. 2. 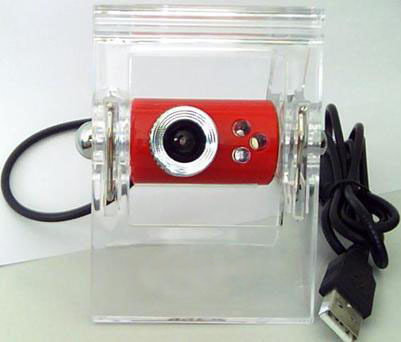 If you do not have DV, you had better have a computer with a camera or buy a PC camera to recode the self introduction. 3. Windows Movie Maker, which can help you to capture video from the video devices. 4. 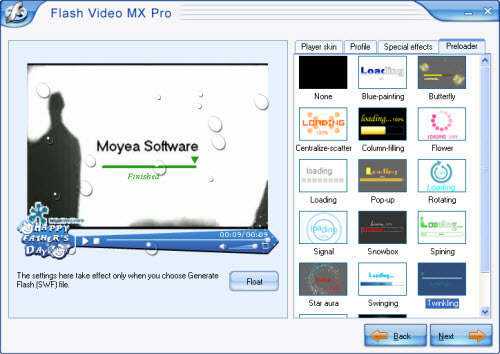 Moyea Flash Video MX Pro. This software can help you to convert regular video to FLV format and generate a paragraph code that you can use in your page directly. Step1. Use your DV to recode some scenes for further edit. You can use it to recode a self introduction or some clips which can show your personality. I don’t know, you can use your own imagination. Or you can use a PC camera to do the same thing. In this step, what we want is to collect video sources for the further edit. And if you use the PC camera, you can save the video as AVI format directly. Step2. Use Windows Movie Maker to capture your recoded video and save them on your computer as WMV or AVI format. 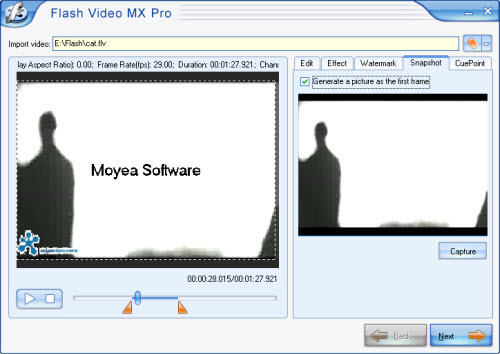 Movie Maker is a good free software, you can use it to capture video and audio to your computer. 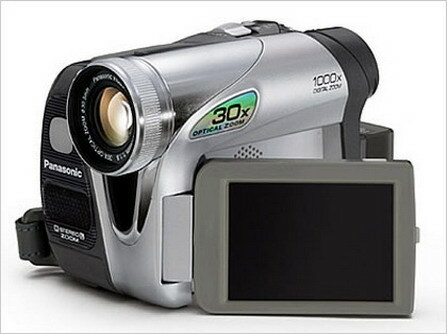 But To begin capturing, a video capture device must be connected properly and detected on your computer by Windows Movie Maker. More details please refer to Movie Maker’s help document. Step3. 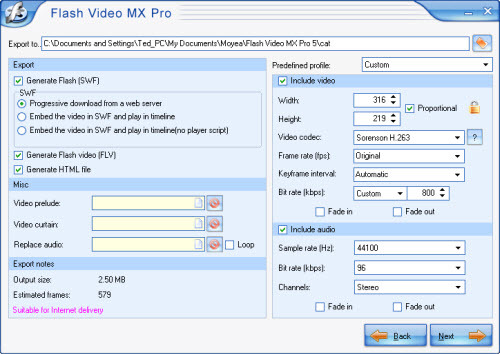 Use Flash Video MX to convert the saved video to FLV format and edit them. The conversion function is the basic function of this software. You can learn how to use it from this page. If you'd like to edit your video, you can fix it under the tabs on the right. You can trim and crop under "Edit"; change the brightness and contrast under "Effect"; add text or image watermark under "Watermark"; capture a thumbnail under "Snapshot", and so on. In this section, you can choose the output folder and output formats. Here we choose "Generate Flash video (FLV)", "Embed the video in SWF and play in timeline", and "Generate HTML file". You can also merge two other videos with this one by adding video prelude and video curtain. If you want a better quality, you'd better keep the parameters on the right original. Click "Next" to continue. In this section you can add player skin, some special effects, and preloader. You can also set more parameters under "Profile" tab, such as auto play, auto load, navigation, etc. Step4. Embed your video resume into the webpage. “aaa.swf” refers to your player’s name. At last, you can enjoy your video on your own website.